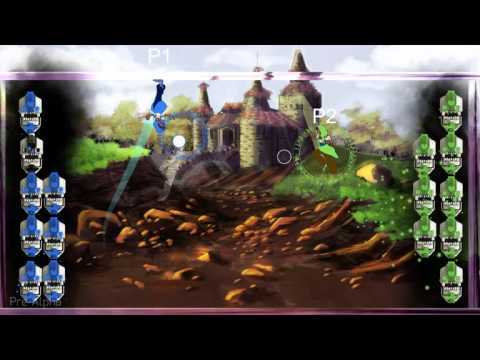 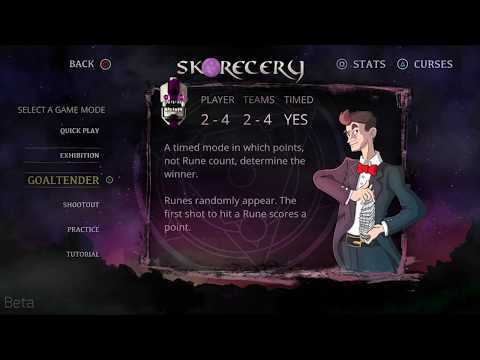 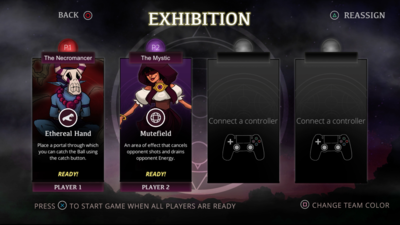 Skorecery is a fast-paced local multiplayer sports-like set in a tournament of mystics. 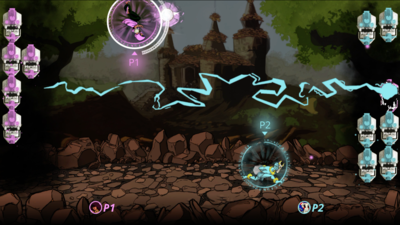 Players engage in a contest of reflexes and split-second decision-making to protect their runes and destroy their opponent’s. 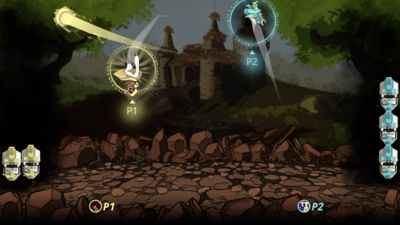 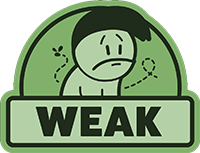 Different spells, modes, and curses force players to stay on their toes and face overcome new challenges every game! 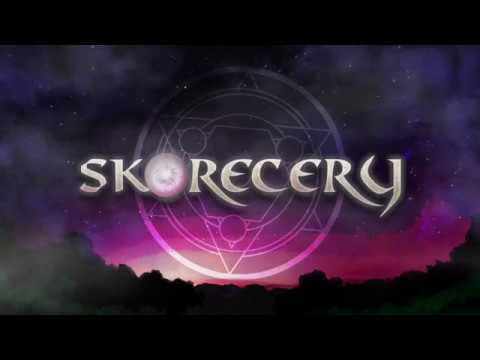 As far as local multiplayer games go, Skorecery is definitely one that you'd want to add to your playlist but it won't be the main event.